Tuesday's are your chance to ask any Filofax related questions you might have. So fire away... and we will collectively try to answer your questions or offer opinions. Does anyone else have a filofax dedicated to a creative activity/hobby/pastime/ interest etc? If so, what do you do and what is in your filofax? Helen, I have quite a few Craft-o-fax's where I store patterns etc for all my different crafts, and then I have one solely for current WIP's! 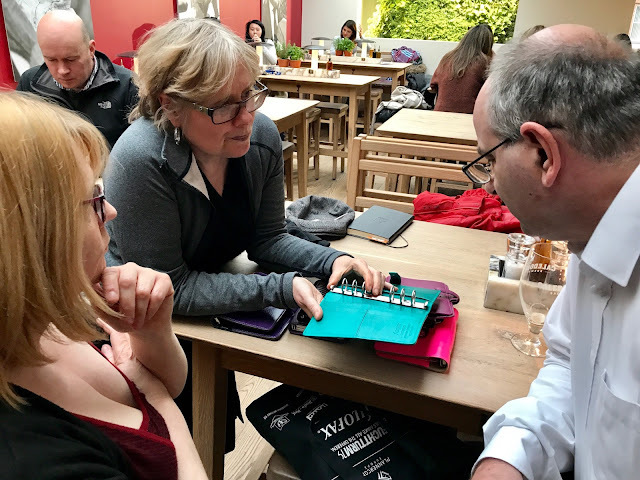 When I finish my MA I will have plenty of time off, so I am going to re-start my hobbies like knitting, cross-stitching and maybe a bit of painting, so I might set up a Filofax for them, perhaps my A5 purple Malden or A5 red Amazona! Also, I want to start creative writing again, which will be another filo! I'm very inspired by the crafty filos I've seen posts on, but haven't made a move to set one up yet. I mean to go there...I have 'stuff' meant for my Smash books but now rethinking that and looking to use a Filofax instead. Too bad I missed the great sale on A5 Ultra Violet Domino on US website last week! My filofax is a writing journal. It is where I track my writing blog posts, keep outlines and character sketches of the novel I'm currently writing and I use it for note taking at writing seminars. I have about a dozen penpals so I have a pocket Bond to keep track of them. Each pal has their own section. On the divider is their basic details, like address, etc. Then behind each section is a few pages each. One is a list of items I have sent to that particular person, e.g. for their birthday gift, and there is another list of things I want to tell them in my next letter. I'm still in the process of setting it up. I haven't got one set up as yet, but I have a few ideas. I have a lot of quotes n posts from Facebook saved to my phone. I would like to print them out and collect them in a book. A Filofax would be great as I could file them in different ways. I have thought of keeping all my special cards in a Filofax - the ones received at birthdays etc. my Mum suggested that I keep a record of my Filofaxing. To keep note of different tabs, pages layout designs, refill lists etc. I'm sure the scope of using Filofaxes for hobbies is endless! I wanted to ask people who use GTD, whethet in a filofax or not, do you always put every to-do, idea, note etc in the imbox first and process them later, even if it would take the same amount or less time putting them in the relevant section or list? I know the inbox is important for GTD, but listing everything here just seems a bit silly to me when it would be quicker to write them into lists immediately! I think this is what caused me to fail in my GTD attempt! No, not everything goes through my inbox. When I think of something, if it's short and can be done now, I just do it. Otherwise, if it is an action that clearly belongs on a list e.g. "Phone to book dentist appointment" then I just put it on the list. If it's just a vague idea, or doesn't have an obvious next action then it goes in the inbox. AFAICS, the importance of the inbox is to have somewhere to put things you aren't able to deal with immediately, or can't easily see a next action for, so that nothing gets lost and everything is 'collected'. Thanks for the clarification, Horsellian. I've also struggled with GTD in my FIlofax. Both the inbox and the Next Actions page. Couldn't really get to grips with how to use the Next Actions page, especially from a project with about 10 actions. I just couldn't get it to work for me. Maybe I need a slower trial but work doesn't allow that at the moment. I did take the INBOX concept, though, and keep the tab at the front of my Filofax. I have found that useful, as you say, for things that don't immediately have a place. Just haven't been too diligent about movig tasks from inbox to other locatins. Maybe that's what I'm doing wrong. I tried setting up my Filofax to accommodate the GTD system (which I have just learned about) but found it far too complicated, detailed and, worst of all considering GTD is supposed to be a time-management system, time consuming! I have now ditched the whole concept and returned to my old organiser system. The tabs I have in my A4 Filofax now are: Diary, To-Do List, Goals, Leads (the e-mails I receive from people who are interested in my business), and Miscellaneous. I use the notepad in the back of the binder as a Notes section. Since changing back to this system I have found that I am getting far more done ("GFMD"?) and I don't have to spend as much time writing, re-writing, and rewriting again, everything like I seemed to do when trying the GTD system. Because my Filofax is A4 it stays on my desk. I have a day job and I don't need my Filofax while I am there, but I run my business from my desk at home so I found the A4 size perfect because I print a lot of the e-mails I get and store them in my Leads section and write notes on them when I am speaking to the people who are applying to work with me. If I need to make notes while I am out and about I just use the Notes app on my iPhone and then e-mail the notes to myself for printing later so I can cross them off as I do them. I don't have an inbox for gtd but I use the next actions pages sorted by place or resource... Computer, home, errands and calls at the moment but I'll add a school page when I get back in September. One minute things don't need writing, other quick items go straight to the relevant list. Big projects like holidays get their own page which acts as a sort of inbox and then get listed on my next action lists. With GTD - IMHO - it is important not to get bogged down with task management. Yes - you need your lists. Yes - you need a good inbox, but they are just "boxes" for keeping "stuff" you can't get to right now. Your next action lists (except waiting for) are things you have processed - so you know what the next action is - you just can't (or don't want to) do it now. Your inbox is stuff you haven't processed - so you need to process it - but you don't have time right now. However, if you have the time/energy/etc. to do something now, it neither needs to go into your inbox nor onto one of your lists. If everything went through the inbox, then onto a list, you would never have time to do anything but manage your lists. I have an ‘inbox’ at the front of my FF to capture stray thoughts before I forget them, but I have inserted a ‘category’ column – I find it makes it easier to bulk-transfer to the relevant project page. Quick things get done immediately without writing it down. At the back of my FF I have a project section with a page for each project. Here I write tasks and actions that emerge from brainstorming, meetings or phone calls. My project section is my go-to section. Final step is when actions get transferred from the project section to my weekly task list and fitted in around meetings on my agenda. It’s not strictly GTD, but it works for me! Cloudberry, I think I like the idea of a category section, I'm just trying to see how that would work in practice. If I already know which area a to do item will get filed in, I usually put it in there immediately. But I think I could add a category column, so when I do decide where to put one of the more tricky ones, I could add that as a reminder. I've struggled with the whole concept of Next Actions, I don't think I ever really got it. If I have Project A with 10 things, which I already know and have on a list, and Project B, with another 10, I tried looking at each, and asking what the next action was, then adding it to the NA list. But I found myself usually just going to the Porject A page and bypassing the Next Action list, when I had spare time and wanted to knock something off. That said, I think GTD is just born for a Filofax, as the two seem to work seamlessly, just not in my case. Horsellion, I also put items straight into the relevant list if at all possible. Where I use the inbox section is in meetings etc when I quickly need to jot down a next action, or some useful/important information, and either don't have the time, or don't want the kerfuffle of finding the 'right' section in front of a client, or when I'm on the phone. Unlike some others, I don't find the system leads to bloated task management or being too time-consuming. Most of the inbox-emptying, list tidying etc takes place in the weekly review, and I suspect that the problems some experience arise out of trying to task-manage and inbox-clean 'on the go'. The whole point of the system is that once it's in the inbox (or on another list) you *know* it's going to be referred back to and dealt with somewhere later if you 'work the system' so you can forget about it. Clear head = maximum focus on the task in hand! Paul B - I've noticed that most of my categories in my inbox seem to be 'buy', so maybe I should open a 'project page' for shopping on-line and one for high street! My Personal Malden is too stuffed. I don't really need to refer to postal addresses regularly so been considering getting another filo as a dedicated address book. Does anyone use a filo as just an address book? If you were going to get one which model would you choose? How about a slimline or compact as an address book? My late mother in law used an old small ring Filofax as an address book. Before you buy anything though... check out our Ad Spot page. I have also been considering setting up an address book (as a back up to my addresses etc stored on my computer). I have an unused personal Urban and enough address sheets to get started. It would certainly become something that could be used for many years, if it were solely an address book (lots of growing room). I do have a question and this is coming from someone who has never had a paper address book before. Ok, so if I know only an email address of a person should I give them a place under their letter tab? should I ask them for the rest of their details? Or just write people that I know the full details to? Also, businesses i feel like i may or may not ever use them again but if i bought something from them and liked it or there range or services etc i should keep the info. i feel like its quite overwhelming to set up on paper as it gets messy when people move around and i dont know if i should include every person and business i know of. maybe im overthinking? My suggestions would be to use your A-Z for people u know with numbers addresses n even birthdates. For ppl with just email contacts I would keep perhaps a lined or blank page with the email address on it, filed behind their letter, keeping this page only for email details if that is all you have. If you get more details, then move them onto an address page. You could do this behind each tab. The same kind of thing for people/businesses u have infor for, but don't want to let go of just yet. Then at a later date, if going thru ur address book, you haven't used their details, u can remove it without a lot of drama. Hope this makes sense! A slimline or compact is definitely the way to go. Lying flat seems to be an issue with some models including the Cuban I think? An address book needs to lie flat if at all possible I think. I use a slimline personal Amazona for my address book and just a few sheets for this month's shopping spends. A very handy size for this. PS- I think a personal slimline Adelphi would be even more gorgeous for the job, as it has a beautiful quilted pattern and a lovely little outside pocket perfect for stamps and quotation cards to pop in the post. I just started watching Newsroom - the new awesome HBO-show written by Mr. West Wing Aaron Sorkin - online (I live in Norway, so I´m not able to watch it live). I noticed Mackenzie MacHale (Emily Mortimers character) uses what seems to be a A4-FF in her role as Executive Producer. Got me thinking... What else sort of appearances of FFs do you guys know of? And there is something like a filofax in this month's Red magazine. 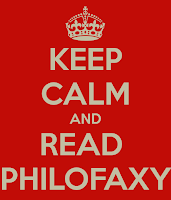 Has anyone thought of starting a Philofaxy youtube channel? I don't use Youtube a lot so I don't even know if it's possible, but I know I love watching everyone's videos in the Web Finds. That's a really good idea!! Or did I miss understand your question? I was thinking more of like a place where people could go to see everyone's videos. Sort of a Youtube TV channel of videos from everyone I guess. I'm not sure that's entirely possible on Youtube though. Philofaxy and Filofax Returns department combined rock. As a result of Gail's comments here I sent my beloved A5 Cherry classic back to Filofax on Friday, pointing out the creasing on the spine. It was not as bad as Gail's was, but it was clearly going to get there. On Monday at 10am a voice message was left for me to ring them. I rang today (because I didnt check my phone yesterday!) and the woman who rang was not in but her colleague spoke to me. She had no idea who I was but as soon as I explained it was a creased cherry she said, "Oh, Ok. Do you want a replacement?" I asked if I could have a Malden instead and she ordered one for me there and then to be sent out today! So now I need to know... will I love the A5 Purple Malden as much as I loved the Cherry and I love the Ochre? And am I daft to be worrying that it was all too quick and she must have misheard and a personal apex will arrive in a day or two? The purple malden shows as sold out on the site but she said they had one... will it all end in tears?! Has anybody tried the address book software from filofax? Is it worth getting? Yes I'm using it, I keep my main address list on there and print it off about once or twice a year. I find it works very well. I last used it about 2-3 years ago, when my Outlook address book was in a reasonable state (not the case anymore, alas). it does what its designed to, and for printing in Personal, I found that ok. I just thought it was quite limited for the price. I think if I had a decent printer, I'd be tempted to play with the fields in outlook, then print directly onto Personal paper. Like I say, if I had a printer that could do duplex, and could take personal paper. If you do, I think its worth trying that first. The other hassle I had was I didn't want everyone's address printed. I had to laboriously go through 1600 contacts and tag the ones for printing by Filofax. Of course, a month later, that list was slightly out of dat and I couldn't find an easy way of addressing that issue. But maybe there is and I wasn't aware of it at the time. Hope that helps. Would anyone be able to offer an opinion on the Finchley A5 please? I'm at the end of waiting for a slimline A5 and I don't know if the ring size would suit. The Finchley seems a nice and concise option. I love my A5 Finchley. I find it adequate ring size but not big and bulky like some A5's. I don't have it overstuffed but it is full. I don't typically take it out of the house with me...its more for home organization so it sits on a desk. But when I do carry it around the house from my office to the kitchen or craft room or whatever, it is comfortable and not cumbersome. Not sure that's much help but I am a big fan of the Finchley and hope to find more A5's at a reasonable price. My personal Finchley has the same ring size at the personal chameleon but the chameleon is 'wider' and the finchley is trimmer, fits in my hand better and in my purse. I just ordered an A5 Chameleon and not sure what to expect in terms of size. I'm thinking the A5 Finchley seems like one of the 'smaller' A5's if you know what I mean. Its really not that large for an A5. I love it! First time poster... I just ordered a Chameleon A5 in Aqua for $40.50 for Filofaxusa.com!! I really needed to share my excitement and no one else would understand. That is so funny---I did too just about 30 minutes ago. I went to the site hoping for an A5 Domino (other than black) and nothing available so I saw the Chameleon. Couldn't decide between brown and aqua because I have the Personal aqua but then realized I also had the brown A5 Finchley. Decisions, decisions. In the end I went with the Aqua, though wish I could have ordered both. What a buy! I couldn't believe it when I saw the price! There was no way I could pass it up since Id been thinking about that exact one lately. Can't wait to get it! Are the Domino's being discontinued or just new colors coming in the Fall? I sure missed out on the great offer last week on the US site for the A5 Ultra Violet though I see there are still some A5's around the web at slightly higher. I don't have a Domino and mean to grab one (for hobbie/craft book) before they go away forever. Or will they be around? Thanks! Filofax's US store has a 50% off sale. Lots of models, including the Malden, are included! Thanks! Just ordered a personal Malden for $49.50! What to do...what to do...a personal Malden or a personal Holborn. I want black and they have both. Please don't say buy both lol I just bought an A5 Chameleon this am and now will have double shipping costs. :( unless I order an insert to qualify for free shipping. Oh why why do they do this all once. I hate making decisions! I do love my pocket Malden to pieces but have been eyeing that Holborn too. Off to check out some of your opinions on both. I was just about to say you should buy both! I have both and they are wonderful. I looked at the Holborn in brown but it looked much richer in black (at least to me it did). It's a great binder. I was using the black Holborn until I got my "One True Filofax". Hi there! I use a slimline Filofax as my 'carry-round' and keep everything else in a personal. I use a 'week on one page with notes' diary (6 months) and a 'day per page' diary (1 week) in my slimline at all times. Past and future inserts are kept in my personal at home. I'm planning on putting my address book contents onto personal paper and will also keep this in my personal at home. I also have a compact and if I need more room in my slimline, I just move the inserts I need into my compact. I find the pocket too small for all my reminders/to dos but the slimline isn't any bigger than the overall size of a pocket (which can get quite bulky) and the paper is bigger. Check out my blog for further info (click on LucyLastic). I've also got a post coming up soon about how I use my slimline as my 'One Life One Filofax' binder. Oh! I forgot about the slimline! I'll check them out. I struggle with the size of the pocket paper. It strains my eyes a bit. Thanks! I'll also check out your blog when I get a chance. Philofaxy and Filofax Returns department combined rock! Purely because I was alerted to the possibilty by Gail's posts here, on Friday I posted back my A5 cherry classic as it had creasing issues on the spine and clasp. On Monday they left me a voice message which, having failed to check my phone I only got this afternoon. I got a different woman who had no idea who I was but immediatley on being told it was about a cherry classic asked me did I want a replacement. I loved that filofax but I dodnt want the same issue again and I alread hav ethe other classic colours, so I asked for a Purple Malden and she simply checked stock and said it would be out to me today. So now I am awaiting and a- wondering. Being only a recent convert to the Malden did I make the right choice? Will I like it as much as the Ochre? Did it all happen too fast and will she have misheard and send me a purple apex tomorrow? That's fantastic, and I love how they know instantly that the Classics are a problem but promptly offered a replacement! I did this last week with my A5 zipped Holborn, and asked for a personal purple Malden in exchange, which they said they should receive from their supplier early August- I hope mine arrives as early as they said yours would!! Oh Helen how strange, I sent my Brown Classic back and told the lady that I didn't want another in case the same thing happened and I opted for the Purple Malden too....Had to get it in A5 because there was no personals, but that was fine by me. I only had to put £12 because their was a discount on at the time too. I adore the Purple Malden, it is as beautiful as my Ochre. By the way, they told me it would be out the same day, but it was about 4-5 days later. Why is there such a lack of academic-year start diaries on the filofax website? I can't see any this year!! Hi TPS - They are still doing a few - but showing as "Out of Stock". They completely dropped the Flex academic year diaries - after only being launched last year! Yeah, that was annoying! >=( had planned to make a hax for my A5 because of the better paper quality. I've been a Franklin Covey user for the past 25 years. I used the compact planner (pages are 4-1/4 x 6-3/4), two pages per day, for the last 20 years. The last couple of years I've been going back and forth between the compact and the classic (5-1/2 x 8-1/2 pages) two pages per day or homemade pages. I'm thinking about trying something completely different. I've been disappointed with the selection at Franklin Covey for a while now. I've perused the Filofax website but I haven't quite figured out how the planner works. At Franklin Covey, you buy a binder and you buy inserts - all separate. But it looks like the Filofax binder comes with pages. What exactly is the "2012 calendar diary"? Does it come with monthly pages and weekly pages or what? I can't get any description of what that is. Also, it looks like the A5 is a little bit smaller than Franklin Covey's classic. Is that right? I make misc. pages for my planner all the time and the classic is exactly half an 8-1/2x11 sheet. Is Filofax different? 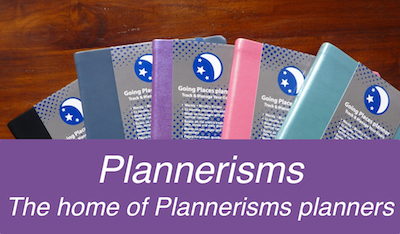 Why do you choose Filofax over Daytimer or Franklin Covey? 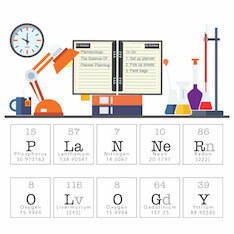 Is there anywhere on the site that explains how the planner works? Before I shell out the $, I'd like a better idea of what I'm getting. What is the most popular format? I've been using two pages per day for a long time. Moving from Franklin Covey to Filofax is easy, especially if you are already making a lot of your own pages! The compact Franklin is akin to the Filofax Personal size. Franklin compact pages fit into Filo Personal but are just a smidge wider. Franklin's classic is very close to the same size that Filo A5 is. I have heard that the only ting you need to do to Franklin pages is to re-punch them to fit into Filo A5. There is a LOT of terrific info on this website! If you look to the left of the page there is an area labeled..."LABELS". TONS of information for you to sift through and digest. I was a faithful Franklin Covey customer since 1992. In the past several years I have seen a decline towards what customers want over what will make Franklin more money. I'm all for commerce but they forget about the little people that got them to the top of the heap, and they'll find themselves at the bottom very quick! Filo service is EXCELLENT, and there are a number of American and English outlets that sell Filo at good discounts! Check out Pensandleather.com as well as Philofaxy's own "Adspot" up towards the top. On the topic of planner pages, I think most people don't care for the Filo pages, whether due to layout or the paper quality. Daytimer and Dayrunner both make a daily and 2 page per day that fit into the Filo Personal size beautifully. If you do a little searching, the possibilities are endless! You can tell as a recent convert I can go on about this forever, so as I wrap this up I want to wish you great happiness in your planning future, whether you stick with Frankie or branch out to Filo! Thank you. Your comments were helpful. I honestly mix the two. I love my Filofax binder, but prefer the set up of the Franklin Covey Monticello pages. Because the Malden Filofax is a bit wider and more flexible, I can fit the pages without a problem- although I know this drives some people (ahem Kanalt) crazy! Basically, you'll have to see what ends up working for you. If you click on the description of most binders, they will say what type of calendar they come with although it is typically a week on two pages without notes. If you want anything different, you'll have to buy the inserts separately- something we all gripe about! Go to Diary Inserts category at the top and there are tons of inserts you can download and print that have been developed by 2 talented and generous folks from the Philofaxy community. Also read through the Files and Faq sections for some great info. I'm also a 25 years Franklin customer. I do like their 2 page per day layout the best out of any others. I've used Day-timer and Day-runner inserts before in my Franklin but found their pages too thin. While I wouldn't consider Franklin paper 'fine stationary' I did find it smooth to write on on and rarely any bleed. I am now using Filofax binders and the Filofax inserts which are so-so. Just using the week on 2 pages for the time being as that seems to be enough for now. Yes you are right about the Filo binders all coming with the inserts. That's one thing I found annoying having switched to Filofax. I rather like picking my favorite binder then combining it with whatever inserts vs paying for the binder and getting duplicate inserts every time I get a new binder. I've learned to deal. The one thing I can't get around is having to punch new holes for the A5 binder should I choose to use Franklin or other inserts. All those extra holes bug me and I haven't invested in the proper hole punch to do that anyway so for now just using the Filofax inserts in my A5's. That is SO true! We have a store nearby but there's just next to nothing to choose from. They used to have a bunch of different binders and inserts but now there are only a few. I've been trying to buy a new binder for several years but I can't find one I like. For a while they had lowered the pen loop and eliminated a pen loop and the pen stuck out the bottom because the loop was so low! I see they've fixed that problem finally. But they have definitely changed. I'm not in love with the FIlofax inserts but it might be worth switching just to get some of those beautiful binders. I definitely wouldn't like punching more holes, though. That kind of thing would really bother me, too. I'd have to buy a punch and make my own before I did that. Ha ha, J! Yes, while I like the FC inserts, I don't like that they are wider than my current Filofax tabbed sections. I can't have two sizes in my planner - I'm too OCD for that! I even tried to cut them down so that they're the same size. It worked but it left me with less writing room, which I didn't like. So back to the Filofax inserts, flawed as they may be. Hi everyone! My name is Misha. 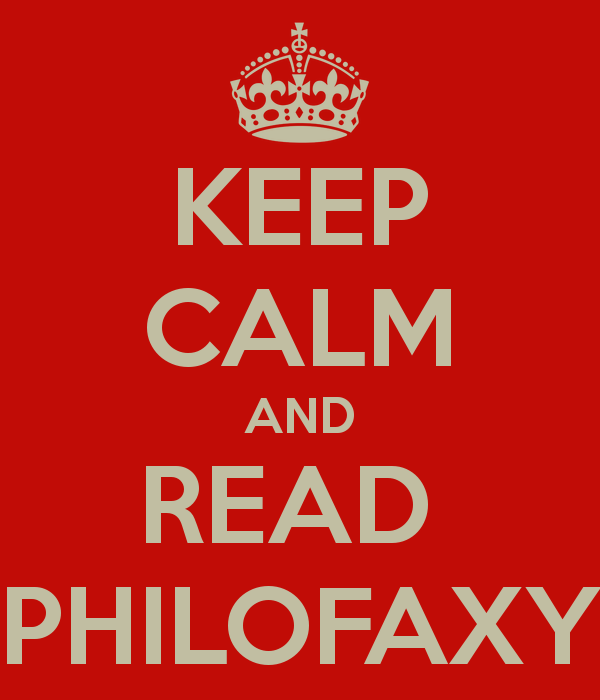 I'm a new Philofaxy reader from California, USA! I recently purchased a Personal Chameleon in Aqua and while I love it, I wish it was larger. I'm starting to carry it around in my purse, but for home use I've decided I need an A5. I ordered an A5 Finsbury in Yellow, and I've been considering getting the family pack for it. Does anyone have any experience with using the family pack as a true family organiser? Pros/cons? I also keep appointments in my iPhone but I like the idea of a paper organiser that my husband and I can "synch" to (especially since the Bump app took off the calendar bump functionality - argh!). Thanks! A short time ago you mentioned that there was a list of codes. The code number is printed on the inside of closer tabs on all Filos. I have three codes (so far) I am very curious as to their meaning would it be possible for you to explain/show as to what these codes refer. They are either quality control codes or batch numbers, they are not unique numbers, so you will find codes that are the same within the same batch of organisers. Thanks for your reply Steve. Recently you mentioned you had a Dymo LetraTag LT 100H label machine. Are the tapes available in 3mm, 4mm, 5mm or 6mm widths. The descriptions only mentions 12mm width. My thanks in advance. The tapes are all 12 mm width, but you can alter the text sizing on the machine and trim the tape to the width you require, I'm not sure without digging the machine out what the smallest letter height it will do is. But it suits all of my labelling needs, my eyes would struggle a bit with 3mm letters I think! Many thanks Tim. I have at the moment labels with 3mm lettering in Times New Roman (12pt on the PC). I've printed some titles and it's such a laborious task trimming all to size. Seems like the LetraTag is just what I'm looking for. Thanks once again. I think I read about them on a blog of a girl who had a personal size pink Tuscan filofax. She either took chinese (maybe it was japanese?) language classes or is chinese/japanese, if that helps. >.< I hope someone else read that blog, because I can't find it! Really love the layout of the cotton cream Wo2P, but if I can't find good highlighters I will have to sell the yet unused 2013 diary and go back to the standard Swedish diary insert (which in comparison seem completely, in lack of better word, infallible if you ignore the design). I use the Pentel Arts 8 and color code my planner by highlighting it (instead of writing in different colored pens). These are becoming more common. I think even Moleskine came out with their own dryliters. Forgot to add the links to the posts you were inquiring. Hope you find what you needed in all that! Just wanted to give a special shout out to City Organiser....I entered a contest to win a discontinued Grafitti Success Organizer a few weeks ago. I had totally forgotten about it...until I arrived home last evening after work and there was a package from City Organiser. My family asked what I had ordered from the UK (we live in CA in the US) and I replied nothing..opened the package and there was this cute little organizer and a congratulatory note! My 15 year old granddaughter said it was so cute and I replied by handing it to her, she just lit up...I can see another Filofax enthusiast in the making! Valerie, what a gorgeous story. 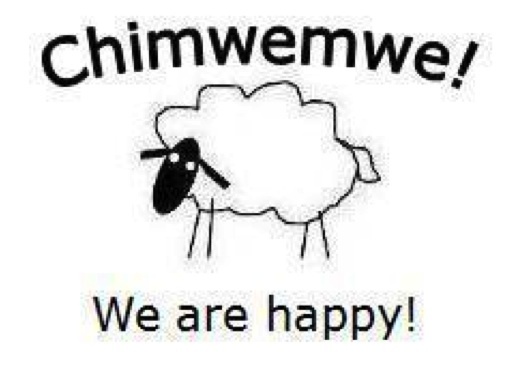 This made my day!! Your grand daughter has a very happy memory of a grandmother's love and generosity there!! Just lovely. First Comment from a newbie - I found this site by accident and I love it already. Already adjusting an a4 enchanced TM week to a page. However I have an issue - I am trying to create a midyear diary and don't have (or at least I don't see the source files for 2012?! The source files are the same for each year, you just change the date in the first cell in the Excel file and the rest should automatically change, if they don't you just copy and paste them down the column. If you get stuck just drop us a message. amazing - its worked and its looking brilliant, now just customizing it for work. Good to hear, share us a picture of your finished insert. I'm always interested to see how people have changed one of my creations! Yes you can start the 12 months at any point in the year...Easter, Bonfire night any day you care to choose! I probably have to consult my printer manual, but I've been wondering for awhile how people print the inserts out back to back and get them to line up. I probably sound like a dolt asking this but I don't do alot of back to back printing of 'forms' and when I tried it recently they were not in perfect alignment. Yes this is a pretty basic printing question, I know, but if you have a suggestion it would be greatly appreciated! Hope this makes sense: the back side of the diary page was maybe a half inch or less too far to the right or left. I didn't try it with the A5 but with the personal. You are using A4 paper not US Letter? And your PC/Mac is set to A4 not US Letter? Are you using manual duplex? Is the offset always the same? Adjust the paper guides to be exactly the size of the paper you're printing on. I measured the vertical offset and adjusted the layout of the even pages upwards by 0.5 cm to account for it. I print Pocket-sized pages this way on coloured paper torn from a memo pad measuring 85 by 127 mm then trimming the edges to Pocket size. The image pressed into the front makes it look like an other-brand, not a Filofax, But I could be wrong. I've seen a few sellers on Etsy and Ebay who make their own leather binders in really thick leather, like bridle leather, and press designs into them. It could be one of those? Do the monthly pages have tabs on them? In terms of the personal size (it's the only size I use and therefore can only comment on that size), the monthly guide style do not have tabs on them, one of the main gripes of Filofax fans. There are tabbed monthly inserts, but they are in list format as opposed to grid format. There are also blank monthly tabs that you can place between the months, but that's it on tabbed monthly features. Hope this helps! I`ve been watching ebay and amazon, but no luck so far. I noticed that they still sell it in some other stores like filofax korea, so it can`t be too impossible to get...right? does anyone know of any way I could get my hands on one of those? Guest Review: Deborah's new Ostrich Filofax! One Life One Filofax? An Argument Against. Is your partner a Filofax user also?